Carrie Underwood, Brad Paisley, Darius Rucker, Brett Eldredge and Lady Antebellum all join Robin Roberts this year as she counts down country’s greatest crossover hits in her annual pre-CMA special. They’ll perform their own covers of songs on the list, with Dierks Bentley, Keith Urban, Florida Georgia Line, Jason Aldean, Rascal Flatts, Sam Hunt,Luke Bryan, Randy Houser, The Band Perry, Chris Young, Thomas Rhett and Steven Tyler making guest appearances as well. This is the seventh year in a row the GMA anchor has hosted the show. Countdown to the CMA Awards: Country’s Greatest Crossover Hits with Robin Roberts airs Monday, November 2 at 10 p.m. 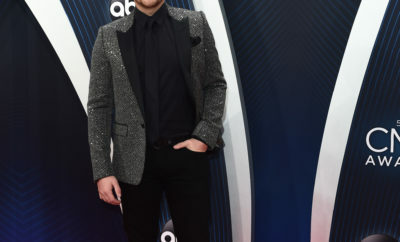 ET, ahead of the 49th Annual CMA Awards Wednesday, November 4 at 8 p.m. ET on ABC.